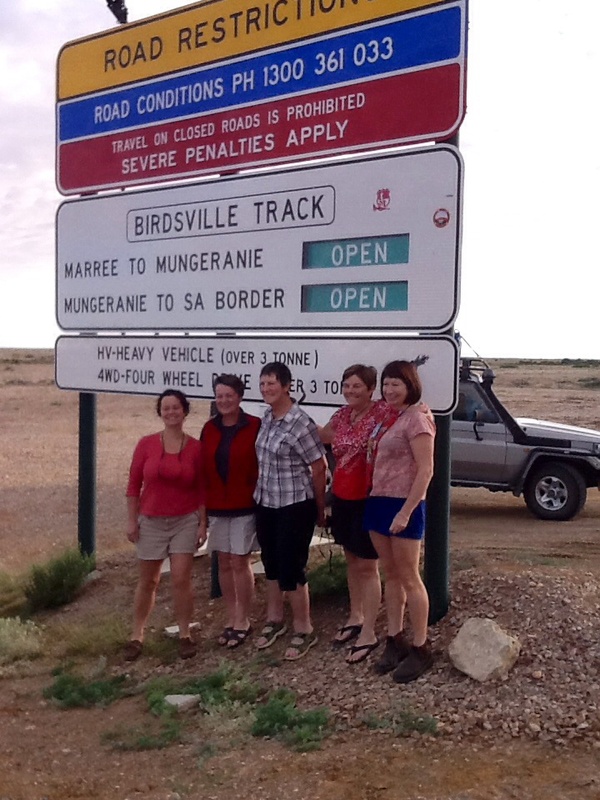 The convoy gathered for a group photo at the signpost marking the start of the Birdsville track before filling up with fuel for the iconic trip from Marree to Birdsville. The girls lined up, smiling for their photo. The boys fell about when it was their turn, crying with laughter at Malcolm’s poses. “Look at these, the sexiest legs this side of Birdsville”. We met up with Max and Heather at Marree last night, so now we are ten travellers in five cars. Marree is a small town that used to sit at the end of the old Ghan railway. Before the rail, it was a stopping off point for aboriginal travellers and Muslim cameleers as they moved between the desert watering holes. The hotel is now a welcoming stop for tourists and modern day explorers. Simple food, cold beer and a smile. The track is unsealed, but well maintained. We can see the signs of recent rains, with deep ruts cut into the track by vehicles bogged in the mud. But today it is perfect weather, 30 degrees, sunny, with a few clouds in the sky. The stone clad plains on either side of the track are identical, the red gibber stones glinting in the sunlight as we drive along. A solitary bird of prey hovers overhead, the only sign of animal life apart from a few Hereford cattle who stare lazily at our vehicles as we drive past in clouds of whirling dust. “Good looking stock”, a voice crackles over the radio, admiring the view. What else would you expect from a convoy of cattle farmers? It’s thirsty work driving the straight sandy track through the rocky plains. We are relieved to hear the call to morning tea at Coopers Creek over the radio “Cuppas at Coopers!” But a plague of flies keeps the tea break short and we are soon on the road again. 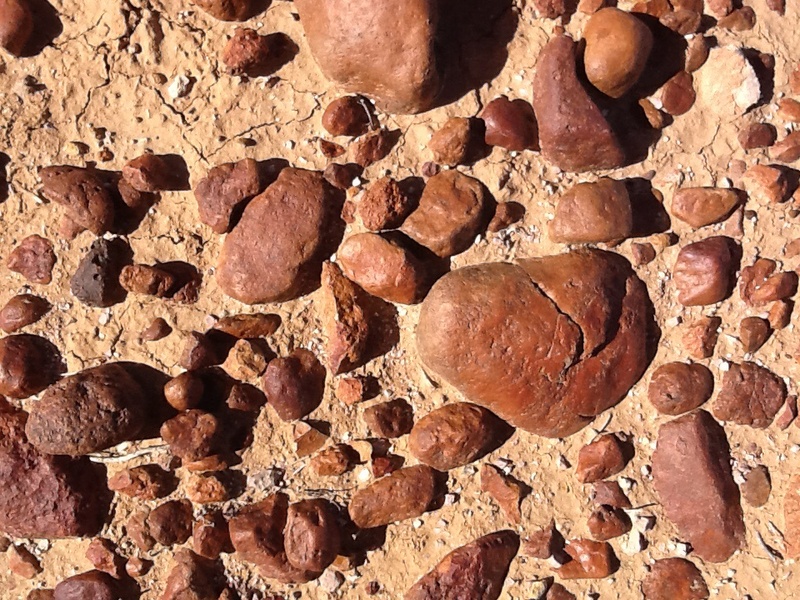 The Strezlecki Desert and Sturt Stony Desert are not welcoming places. They are flat with few geographical features to relieve the kilometre upon kilometre of sandy, rocky land. The driving has its challenges too. A few moments distraction, a steep cattle grid on a crest and the utes are airborne, Birdsville Airways look out! On and on we go, dust swirling, radio crackling, wheels turning. We recall that Tom Kruse, the famed Birdsville mailman, travelled between Marree and Birdsville through rain, drought, dust storm and high winds for 20 years. We are driving a direct route, but he had to zig zag from cattle station to cattle station, in a truck loaded up with supplies. It took him about a week to complete this journey that for us will be over within a day. We have it easy with our air conditioning and modern vehicles. On and on we go. No matter how arid the land, how far from community support, there are always pioneers who make their stake and dig in to drag a living from the land. Such a place can be seen at the old Mulka Store. A few stone walls remain, together with a lonely grave marked with a marble stone. A young girl, only 14 years and 5 months old lies here. The exactness of her age a quiet reminder of the pain of loss felt by her parents. Just one sad story of many. At lunchtime we stop at Mungerannie to take a look at the birds in a small area of wetlands around the uncapped bore. We are not disappointed. Noisy white corellas dot the trees and a pair of elegant grey brolgas tip toe their way gingerly through the grass and reeds; the scarlet flashes on their heads so bright against the sandy coloured vegetation. The cameras click. Well worth the stop. On and on we go. The final run to Birdsville is dusty, each vehicle throwing up a fog behind it that the tail enders struggle to see their way through. 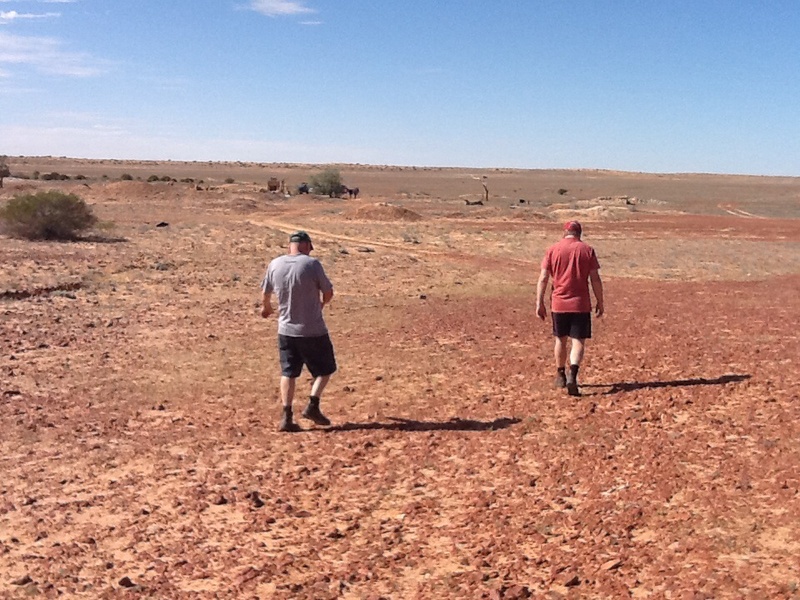 We are glad to reach our destination, Birdsville feels like an oasis. Later, in the famous Birdsville hotel, we enjoy the welcome and the great Aussie tucker, Shearers Delight lamb Cutlets, Shepherds Pie with gravy and Mallee Bull burger. A cool glass of beer or wine goes down well as stories are swapped around the table with Mick, a fascinating retired station hand in his nineties. Mick held so much Aussie history in his own life story. From Kidman to Tom Kruse, he knew them all. Asked what he thinks of the famous mailman, he smiles and says “He wasn’t a bad bloke”. We all know there are few higher accolades for an Australian. After dinner, we retire to the campsite to gaze for a while at the Milky Way lighting up the night sky. Tomorrow the desert, we sleep and dream of climbing red sand dunes that seem to go up and up forever. This entry was posted in Desert, On the road and tagged Australia, desert, Outback, Travel on 26/05/2014 by Deb McSephney. I’m loving the discipline of writing every day. It’s fun for me so I’m glad you enjoy it too.